Description One of the most common forms of vermiculite is generally known as commercial vermiculite. This is the form that is mined and processed for various end uses. 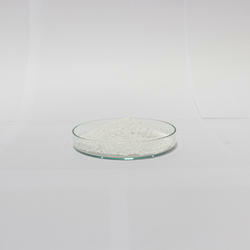 - Used in paper, paint, rubber, chemicals, coatings, etc. Payment & Shipping Terms:Price: FOB Other 300~350 / TonGet Latest PricePort: india/middle eastPackaging Details: Packed in HDPP bagDelivery Time: 7 DAYS AFTER RECEIVING YOUR TTPayment Terms: L/C, D/P, T/TSupply Ability: 500 Ton/Tons per Day. We Are Interested in Bulk Query. Kelpeat is made of scientifically decomposed Coir Pith commonly known as Coco Peat. Kelpeat Plus is a combination of Kelpeat & Horticulture Grade expanded perlite. It is packed in 25Kgs HDPE PP bags. It is used for rooting of cuttings, potting mix, seed germination, vegetable cultivation, tissue culture and dry land agriculture. 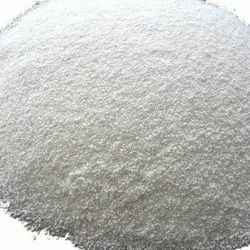 We are leading manufacturer of Expended Perlite Powder and we are looking buyer of Expended Perlite Powder from all over India. Expanded perlite can be used in the manufacture of low temperature (cryogenic) and high temperature insulation (formed and loose products), lightweight insulating concrete, lightweight insulating board, lightweight insulating plasters, and wall insulation. This product is being manufactured by M/s. Indica Industries Pvt. Ltd. in Uttarakhand. Owing to its high insulation properties it improves thermal efficiency and thereby finds application in Oxygen plants, Foundry, Construction (Perlite blocks, floor filling & plastering wall mixed with cement), Steel plants, Furnace linings, Roof insulation, Steel plants. - Storage Life : 12 months from the date of manufacture under proper storage conditions. Size Grading: 0mm to 8mm together. Perlite For Gardening Purpose.. Best Quality..